Like most parts of Sweden, Stockholm, remains cold most of the year. Considering that the average temperature in Stockholm is just 27 degrees Fahrenheit, minimizing the need to heat your home from the winter can have a major impact on the environment and on your wallet. The enormous greenhouse is fully functional like any other greenhouse, allowing the interior to maintain a consistent climate, ideal for growing plants. 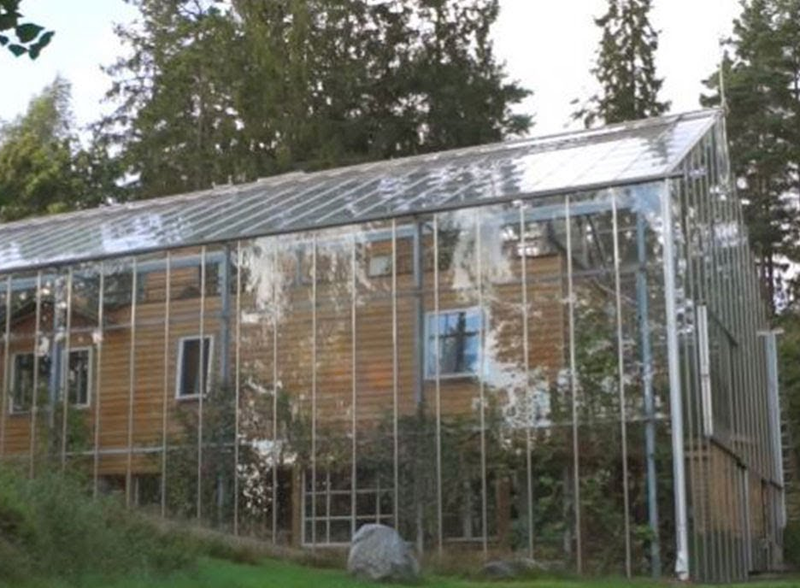 This uniquely designed home is called a Naturhus or “nature house.” It is covered in four-millimeter-thick glass. While the outside temperatures could be 30°F, the house can still be warm at 60°F but the couple hardly pays anything to heat it. Not only that, the family is able to grow vegetable such as tomatoes and figs inside the greenhouse.